Our goal is to make your home improvement everything you dream of, as well as to make the process as smooth as possible for you and your family. Our specialties include decks and screen porches. 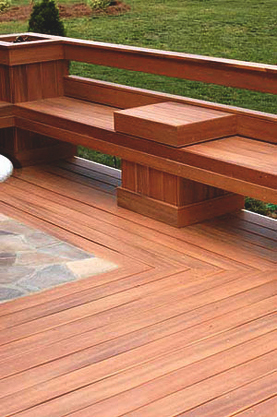 We install cedar, composite and vinyl decking materials and railing systems. Other options available are hidden fasteners (e.g. no visible screw holes in deck surface), Aluminum spindles, as well as glass or cable railing systems.